Fletcher, David, and Peter Sarson. Crusader and Covenanter Cruiser Tank 1939–1945 (New Vanguard 14). Botley, Oxford: Osprey Publishing, 2000. ISBN 1-85532-512-8. Boyd, David. 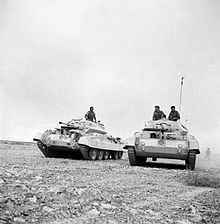 Crusader tank. WWII Equipment. wwiiequipment.com. 2008 [2009-05-11]. （原始内容存档于2008-03-31）.